Dip a fresh strawberry in chocolate—twice. 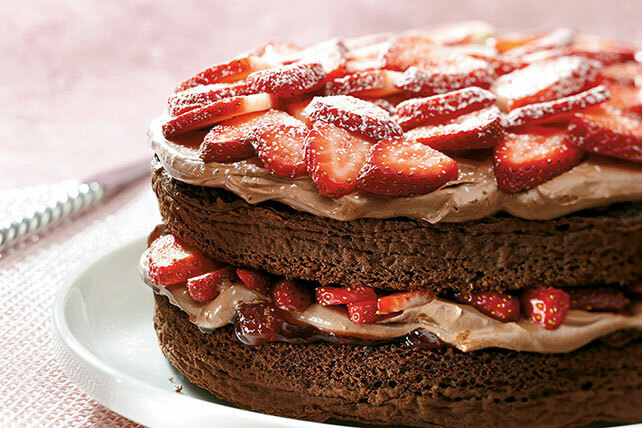 That's how deeply chocolatey we've made this strawberry shortcake. Beat pudding mix and milk in large bowl with whisk 2 min. (Pudding will be thick.) Gently stir in COOL WHIP. Prepare using 1 pkg. (1.4 oz.) JELL-O Chocolate Flavor Sugar Free Fat Free Instant Pudding, fat-free milk and COOL WHIP LITE Whipped Topping.